I'm fascinated by mannikins (mannequins): human simulacra once limited to the role as clothes hangers in shops, now appearing in many other roles in everyday life. 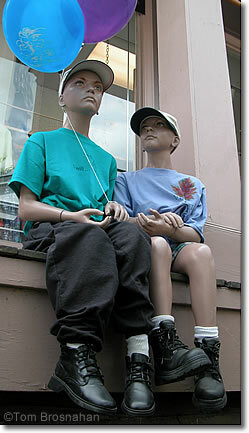 These two "boys" welcome shoppers to a store in Woodstock VT. 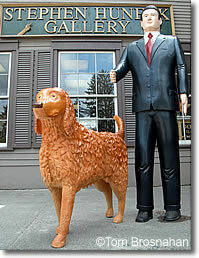 Meanwhile, "Al Gore" walks his wooden golden retriever.